Read here where to find reliable Cape Town builders so you will have some peace of mind when juggling your next building project. 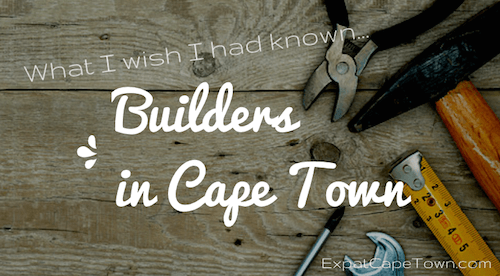 When we moved to Cape Town, we had our fair share of experiences with builders. Handymen were disappearing with deposits, poor craftsmanship, lacking expertise - which we realised and we are not builders - and so on. You name it, we experienced it. Where to find reliable Builders in Cape Town? When it comes to searching for good trustworthy builders you are really lost when you are new in the city or even country and do not know many people. We were living though some real nightmares with Cape Town builders, but have learnt valuable lessons. When you do not know many people and can not fall back on a network of friends who can recommend builders or handymen, you are always in for trouble. Luckily our Expatcapetown forum is there for you now! 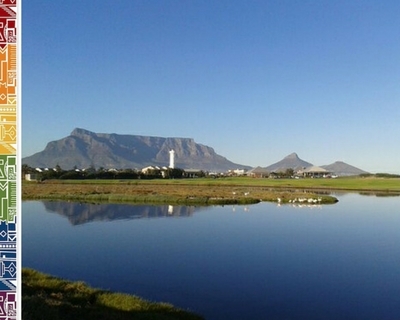 Simply go to Facebook and search for our facebook group Expat Cape Town. And below you will find some great experts in the chosen building sector. Check with the Master Builders Association of South Africa . This is an umbrella organization where you can find registered companies and get recommendations from them. But still check the companies out and get recommendations you follow up. Check out the following Get Closure website with reviews and know what to do in case you want to complain about a company you are unhappy with. More info here. Or visit Hello Peter to check defaulting builders. Get quotes from at least three renowned companies. Be careful with companies who come back with requests and quotes only after calling after them or who are too eager to please and lower their price too much. Our recommendations are not paid or sponsored advertisements, only references for builders and craftsmen who we tried and tested and who satisfied our admittedly critical eyes. These builders were approved by ourselves or our friends. We can recommend them wholeheartedly but advise to check them out and see if you feel comfortable with them too - we all know that any builder's teams sometimes change and this can make a huge difference too. Please let us know about your own experiences or if you would like to recommend some great builders to us and other expats. Metro Roofing Contractors: Trained and experienced roofers under the supervision of a very knowledgeable and experienced Australian Roofer. Adam Commerford was highly recommended to us by Bluescope Steel, the manufacturers of Australian high quality metal roofing sheets 'Colorbond Ultra', which are now more and more being used here in South Africa too for roofing purposes due to the harsh sea climate at the Cape. Adam, an Australian expat in Cape Town himself, and his well trained team were very professional, always well organized. You might not want to think about re-roofing your house here, but be aware that metal roofs which are widely used in South Africa, will deteriorate quickly especially when living near the sea, and if you have got the wrong roofing sheets, your roof will not last long. Our roof showed the first leaks i.e. holes only 5 years after being built. Too late we found out that the 10-year manufacturer's warranty, as cheekily advised by the previous home owners, does not cover our seaside area! So be sure to do it right the first time, if you build a house here or if you are considering renovating your house and want to put on a new roof. Get the right roofing product and the right guy to put it on. Metro Roofing is a growing company and comes highly commended. They are very professional, punctual, reliable, as well as trustworthy and worth the money. Contact Adam here. New Look Window Systems: This company manufactures, supplies and fits UPVc windows and doors. Single and Double glazing. We have changed all our windows in our house and had security doors as well put in by them! These doors and windows would be pretty much standard where we are from('luxury designs' can be ordered as well), but here in South Africa, they are really special due to their locking system and having double glazed security windows to look through is so much better than hiding behind burglar bars! 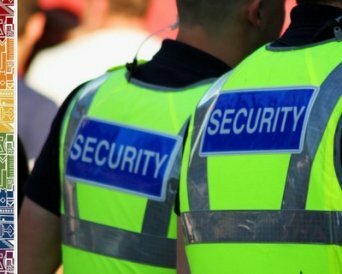 This greatly improves security and energy efficiency in your home. They import German Rehau window systems and manufacture them here according to your requirements. They offer twenty year of experience manufacturing and installing window and door systems. This growing company comes highly commended. These Cape Town builders are very professional, punctual, reliable, as well as trustworthy and hey, they clean up constantly after their work. German spoken as well! Contact Joern or Stuart here. Swiss Line Design: Structural timberwork, roof conversions, stairways, balustrades, decking, joinery and design. This company is led by experienced Swiss Master Carpenter Marc Luedi who we recommend for his excellent workmanship. He and his team are very knowledgeable and professional and create individual designs for you. The wood they use is of superior quality as well. The Cape Town builders/carpenters who helped us and are sent by this company come highly recommended from many expat friends living in Cape Town too. And if you need somebody for your special architectural project, they are the guys to call. Note: Marc and his team have built the magnificent wooden arch which stands next to the Cape Town Cathedral and are currently also in the building stages of the reconstruction of the Woodbridge Island bridge in Milnerton. Truly stunning craftsmanship! Contact Marc here. R.C. Bosman Plumbing. We have been through several companies as we were experiencing what many Cape Town house owners experience here. Leaking water pipes! Often you will notice bad piping work only when damage is done. As the quality of copper pipes used in South Africa over the last eightteen years seems to have deteriorated, so we are told, and the quality of the Cape Water, coming from certain reservoirs, seems to be affecting the pipes too - we were told by several plumbers and leak detectors - and using the wrong cement mix, this is a recipe for disaster. When we thought we are done fixing one leak, a new one appeared. So we ended up re-piping the whole house and including ripping our bathrooms, floors and fixing and patching up walls and ceilings. One company which provided relief was R.C. Bowman. Maybe check them out as well? You can reach them here. Note: The new Consumer Protection Act, which was implemented in April 2011, gives you more leverage and you can challenge shabby work by Cape Town builders more easily. Also you can get your insurance involved in locating experienced and trusted builders should damage to your building be covered by your building/household insurance.